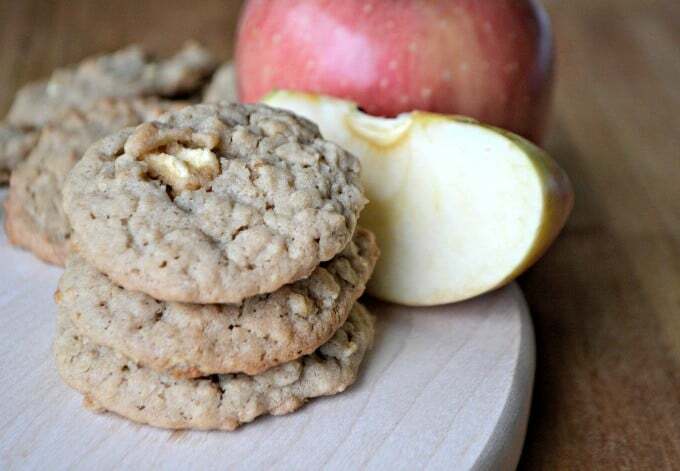 Apple Peanut Butter Oatmeal Cookies – that old-fashioned oatmeal cookie you grew up with with the added flavors of peanut butter and chopped Piñata apple. I had something delivered to my door yesterday that was pretty wonderful. If you follow me on Instagram, you may have seen it. 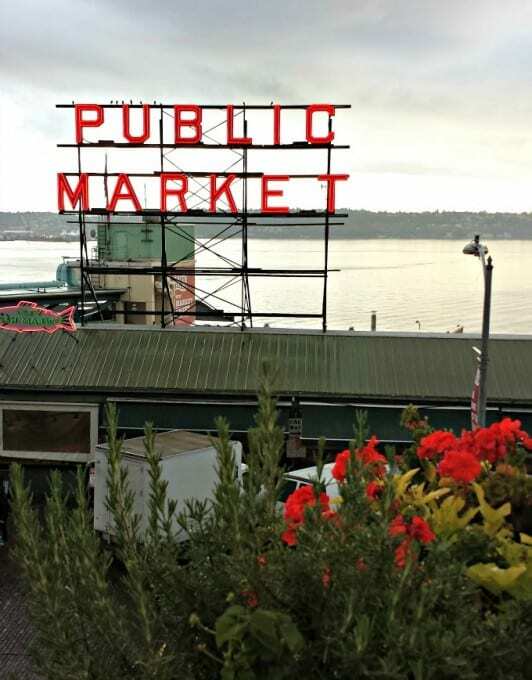 Last month, I had the opportunity to go to Seattle, Washington for the International Food Blogger Conference (IFBC). If you’re a food blogger, this is definitely a conference to consider attending. Next year they’re moving it to Sacramento, CA. 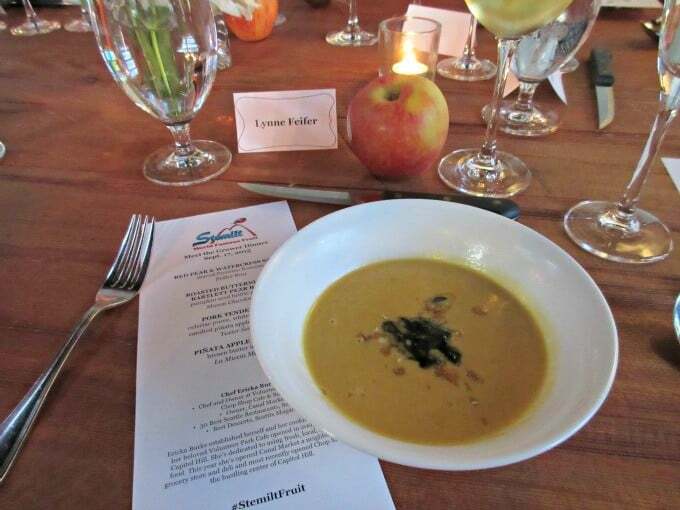 The night before the conference started I was fortunate enough to attend a farm to fork dinner given by Stemilt Growers, LLC at the beautiful Beecher’s Loft in the Pike Place Market. The views of the market, water and mountains off in the distance were stunning! A view of the water, great food, great conversation between farmers and bloggers, what more could you ask for? Fresh fruit from Stemilt was incorporated into every course of our meal by Chef Erica Burke of the Volunteer Park Cafe. She paired the fruit so beautifully with each and my favorite was definitely the Roasted Butternut and Bartlett Pear Bisque. I could have eaten that all night! During dinner we were able to hear about the farm, how it began, what they’re currently doing and where they’re headed. 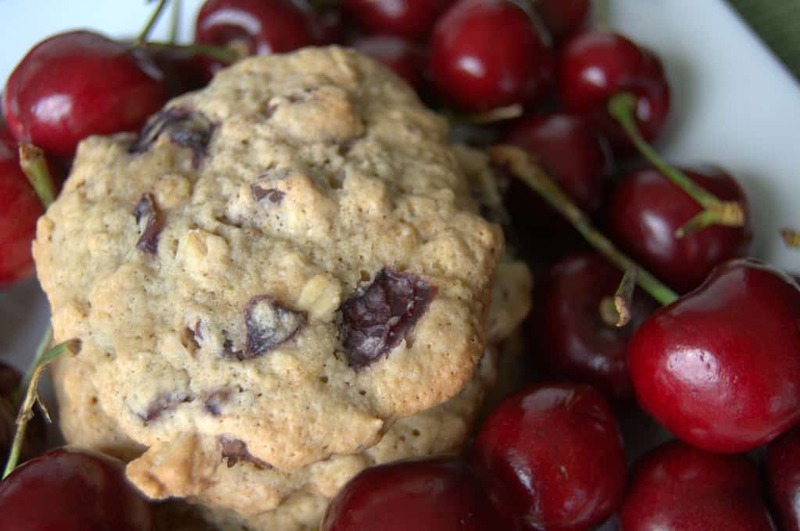 They not only grow delicious apples, but pears and cherries as well. 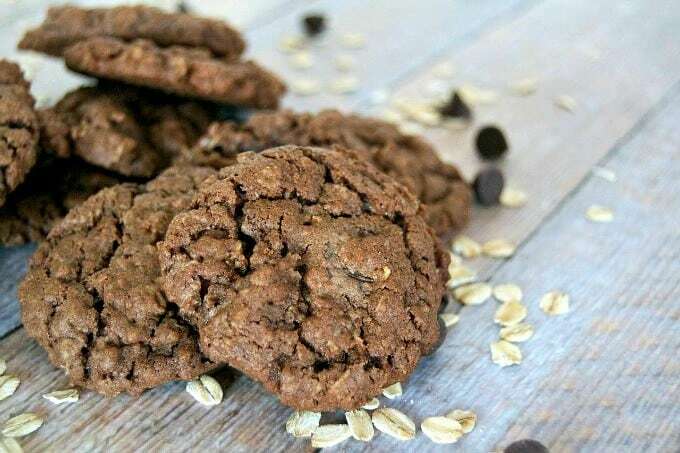 Be sure to be on the lookout for them on your next trip to your favorite grocery store and if they don’t carry them, mention them to the manager and who knows, maybe you’ll soon be eating them! 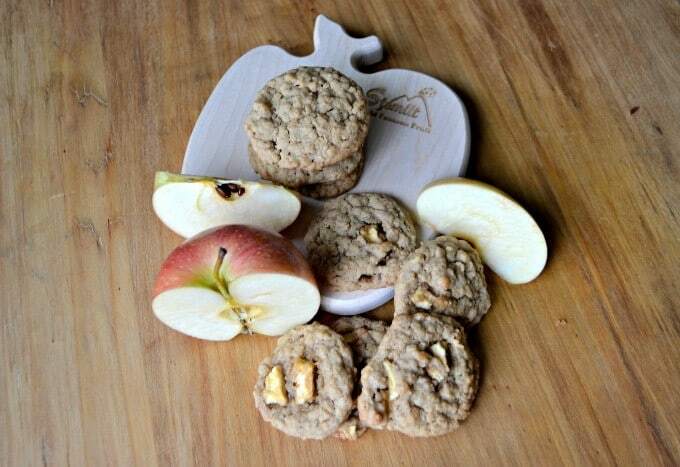 That old-fashioned oatmeal cookie that we all love updated with the addition of peanut butter and some chopped apple. In the bowl of a mixer, cream butter and sugars together, about 4 minutes. Add the eggs and vanilla and beat until thoroughly combined. 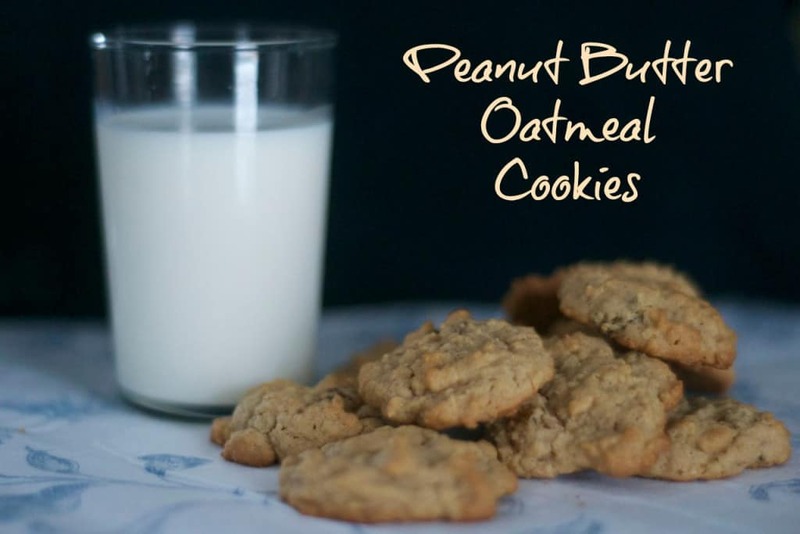 In a medium bowl, whisk together the oats, flour, baking powder, baking soda, cinnamon and salt. Add the flour mixture to the butter mixture, beating just until combined. Peel, core and dice the apple. Add it to the batter and mix to combine. 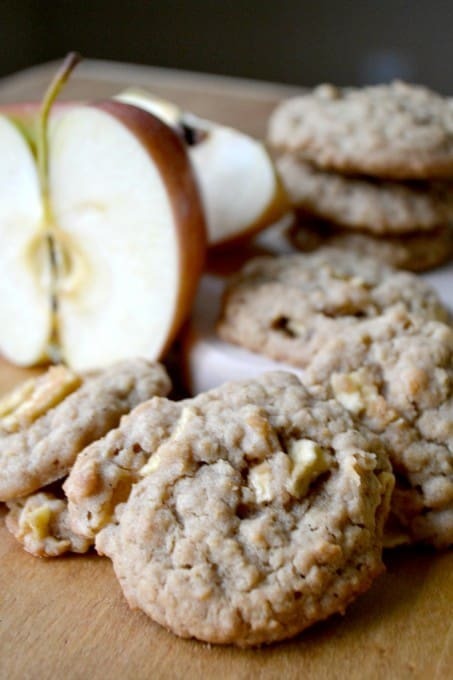 Drop by rounded tablespoonfuls onto a baking sheet and bake for 8-11 minutes until lightly golden around the edges. Allow to cool on the baking sheet for a few minutes before transferring to a wire rack to cool completely. 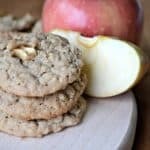 These cookies are a great treat for school lunch boxes, holiday cookie trays, after-school snacks or just because. My son walked in to the kitchen after work and asked, “what kind of cookies are these?”. I think your family will enjoy them as much as mine did. I was sent a box of apple from Stemilt Growers, LLC. As always, all opinions are 100% my own. I appreciate the support my readers give to the brands I post about and I only promote those I enjoy and think my readers will as well. Thank you. You can find my contact info. on my About Me page.